Home > Healthy Eating > What Foods Are Best for You? A healthy mind in a healthy body is something most of us would strive for. In your student years this is more important than ever, and pulling it off could be as simple as taking the time to eat well-balanced meals. Eating the right foods will fuel your body with the nutrients it needs to stay healthy; and in addition it will keep your brain alert, improving its function and memory powers. So what are the foods that bring all these advantages with them? In broad terms, you need to eat mainly good quality, unrefined, whole foods. If organic foods (free from chemical fertilisers and pesticides) are available to you, buy them. Failing that, try to buy mostly locally-grown food, and food that is in season. Specifically what kind of foods does this cover? Your body, and your brain, get the nutrients they need, including vitamins and minerals, from sufficient quantities of fresh whole foods in the correct balance, covering carbohydrates, proteins and fats. What is the Ideal Balance? 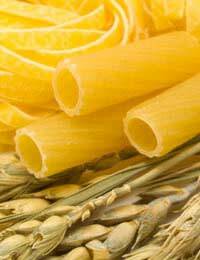 Ideally 60-70 percent of your diet should be the kind of carbohydrates we get from fibre-rich foods like fruits and vegetables, brown rice, oats, whole wheat cereals and wholegrain breads, pastas and pulses. Buy local fruits and vegetables in season; they will not have lost up to half of their vitamins travelling thousands of miles to the supermarket. Some 15-20 percent of a balanced diet should be protein. Starting the day with a breakfast of eggs or yoghurt with cereal will help wake up your brain and improve concentration. Fresh fish, chicken and meat give important variety to your diet and don’t forget the vegetable-based proteins you get from lentils, kidney beans and other beans, peas, corn, broccoli and nuts. Finally, certain so-called essential fats are needed for our minds and bodies to function correctly, as much as 20-25 percent of our daily diet. Find them in foods like oily fish and sunflower, sesame and pumpkin seeds and in linseeds and unrefined seed oils. Why Does Food Affect Your Mood? When you haven’t eaten in a while, and your blood glucose level drops, you may feel irritable or lacking in concentration. Eating balanced meals helps to keep your blood glucose steady. Foods like whole grains and other complex carbohydrates in fruits and vegetables release natural sugars slowly into your system. A bean and vegetable soup, for example, is a nutritious choice because it is full of proteins, minerals and B vitamins. Fish and other seafood are full of brain-stimulating nutrients that increase alertness and energy. Serve them with a vegetable such as broccoli, rich in Vitamin C, to help your body to absorb iron. Choose an oily fish such as salmon and you have the added impact of omega-3 fatty acids, very beneficial to brain function. Can Food Really Help Your Memory? This is a good question when you are pouring over your books before exams. A lack of B Vitamins in your diet is known to affect mental function and memory. So make sure you routinely eat broccoli, dark-green leafy vegetables like spinach, root vegetables, bananas, pulses and nuts, brown rice, eggs, poultry, meat, dairy products, liver and fish. And for mental alertness, memory and concentration, your brain needs zinc. Find it in pulses, wholegrain bread, cereals and fish. What Would Be a Good Pre-exam Meal? It may pay to take half an hour out the night before your exam to feed your brain with something like a simple salad with the right ingredients. For example, combine canned chickpeas, tuna and salad vegetables and pour over a dressing made with 4 tbsp tomato juice, 2 tbsp virgin olive oil, 1 tsp balsamic or cider vinegar, mixed with some chopped fresh herbs, a half teaspoon of sugar, sea salt and freshly ground black pepper. The fish contains the amino acid tyrosine which makes brain-stimulating chemicals, and you will also get a rich supply of vitamins and minerals from the chickpeas and salad. What Can You Eat to Relax? If relaxing is what you need to do, your choice of food can help here too. Most students will be glad to know that some of their favourite foods are just what they need to relax - pastas, noodles, brown rice, couscous and potato are all good. These complex carbohydrates increase the levels of serotonin, the brain chemical that is known to have calming and soothing properties. Lettuce, too, is recognised as a calming food, so a side salad is a good idea. Certainly you should keep to a minimum your intake of mass-produced, refined foods and sugars, such as cakes, biscuits, pies etc, as well as alcohol, none of which offer much in the way of nutrition. An occasional treat, however, will do no harm. So, if your mood needs a lift, have a couple of squares of dark chocolate.